ModRight Mod-Mat Series Available Wednesday!! 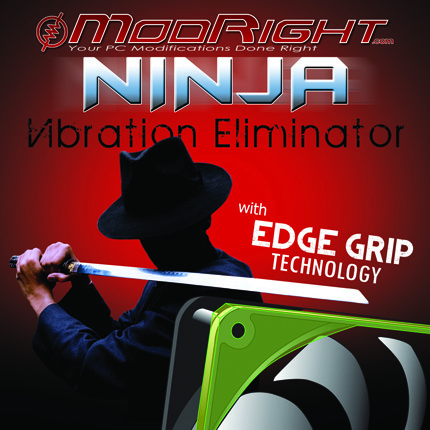 The ModRight Ninja Vibration Silencer Fan Gasket w/ Lip absorbs the fan's noise causing vibrations before they reach the case or heatsink. The Edge Grip technology surrounds the fan's frame to avoid slippage and absorb vibrations on any axis. Ninja Vibration Silencers are available in 120mm and 140mm sizes in multiple colors! Edge Grip technology surrounds the fan's frame while decreasing the fan vibration noise!